In an interview published by Veidas weekly magazine on Monday, the Estonian leader says that some countries want a two-speed Europe divided along the lines of the euro zone. Ilves stresses that his country's adoption of the euro was a good step. "We must be honest and admit that some countries of the European Union (EU) want to build a two-speed Europe based on the euro zone," he says. "Consequently, it is our aspiration is to see Lithuania and Latvia joining the euro zone as soon as possible. 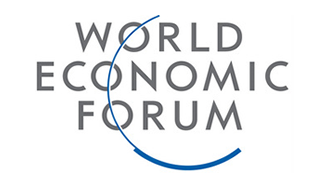 With all three Baltic countries in the euro zone, our common influence in the so-called core of Europe would intensify." Estonia adopted the euro in early 2011. In the president's words, the move helped restore trust of foreign investors and eliminate external pressure to devalue its national currency. Ilves also insists he has no doubts that "the EU and, specifically, the euro zone can overcome the crisis we are currently witnessing." Speaking about the Baltic cooperation, he says that it now includes "money, iron, concrete, railway, and nuclear power plant." "In the 21st century, we no longer need the emotional rhetoric about our common historic legacy so much. First and foremost, we need projects that would join the markets and people of the Baltic countries, connect us better to Europe from the economic and security point of view," Ilves concludes. The Estonian president says that his country is "eagerly awaiting" Lithuania's decision on plans to build a new nuclear power plant in Visaginas after two-thirds of voters said "no" to the facility in a recent consultative referendum. "I support all reasoned efforts toward increasing our countries' energy security. If we speak about Visaginas nuclear power plant, the Lithuanian parliament and government must first make a decision following the 14 October referendum. 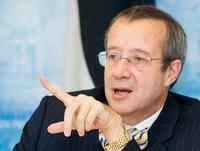 Estonia is eagerly awaiting these decisions," Estonian President Ilves tells the weekly magazine. According to him, Estonia has not changed its decision to participate in the Lithuanian nuclear power plant project which it made six years ago. "This project is important from the aspect of political and, especially, energy security for all EU countries in this region. But, at the same time, it has to be economically beneficial not only to Lithuania, but also to Estonia and Latvia," he says.